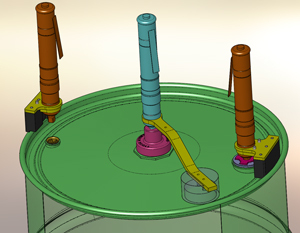 For a steel 55 gallon drum manufacturer we engineered a tool to replace impact guns resulting in low cycle time, increased accuracy (from +/-30% with Impact Guns down to +/- 5% with American Assembly Tools), reduced worker fatigue and injury, and reduced maintenance expense. 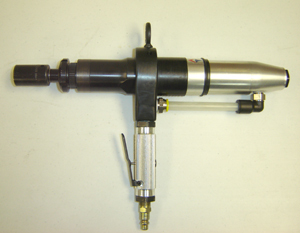 For steel 55 gallon drum manufacturers and refillers we have developed tools for installing and removing plugs with speed and accuracy to + or – 5% around a range of torques. 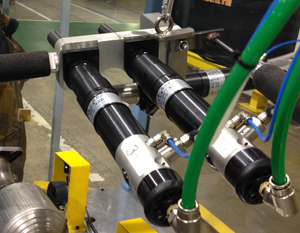 Automotive Supplier – AAT tools with Offset heads and PAC™, Pressure Activated Cylinders, were installed in an automated manufacturing cell to reduce cycle time, achieve required torque accuracy, and perform the operation thousands of cycles per day. Syncrude – We designed a high torque right angle output, ARS3A-M475 – Pneumatic Reversible Stall 3 Series Motor Right Angle Output that is Manually Controlled 475 NM 50 RPM, that is used to operate valves in the harsh environment of the Canadian Oil Sands. BP Thunderhorse – AAT Speed Shift™ high torque tools are used to operate valves on the largest oil platform in the world. 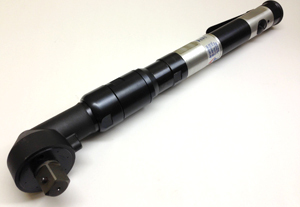 AAT supplies several pneumatic tools to the mining industry in Australia as well as North American Coal. 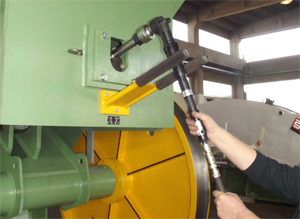 We have designed tools to operate as an integral part of large capital equipment. American Assembly Tools is based in Cleveland, OH, and our tools are fully made in the USA. 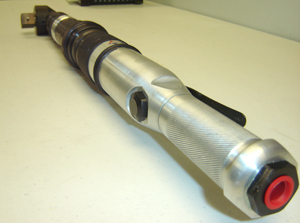 We have over 100 years of combined experience in designing, machining, and assembling high precision tools.